One of the newest and most practical uses of corporate technology is web conferencing, which allows people from multiple locations to meet and/or collaborate at the same time. This guide will provide a primer on the basics of web conferencing and outline some of the features of which these services are capable. 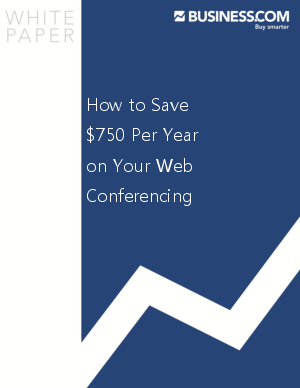 Finally, we'll offer up some suggestions on how your company can save money with web conferencing.